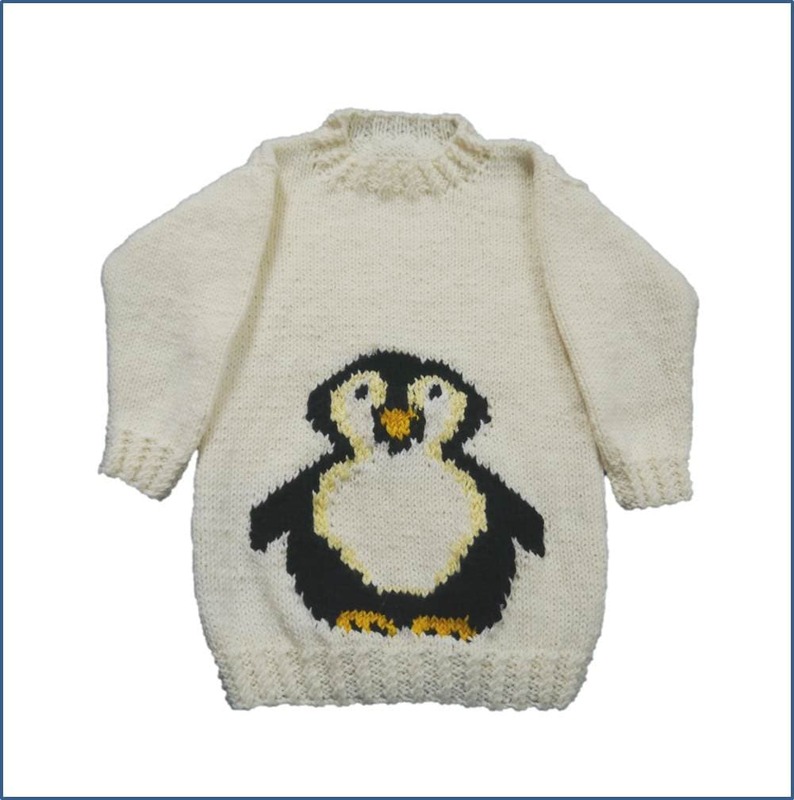 A Sweater and Hat knitted in Aran/Worsted Yarn for ages 2 to 10 years - just right for those youngsters who love penguins. The ribs feature twisted stitches for added texture. 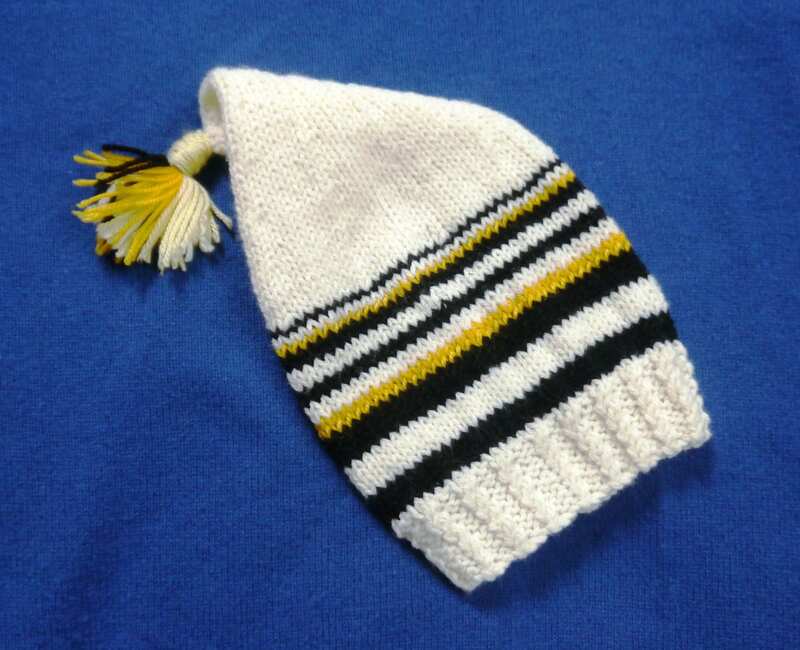 The hat has contrast colours incorporated in the stripes and a tassel. 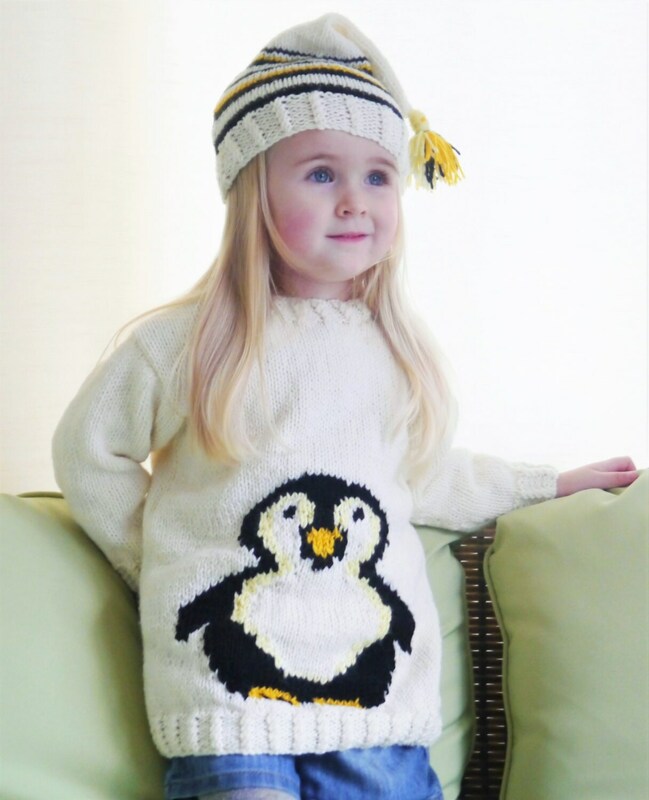 There is a large colour chart for the penguin and instructions on how to make the tassel. 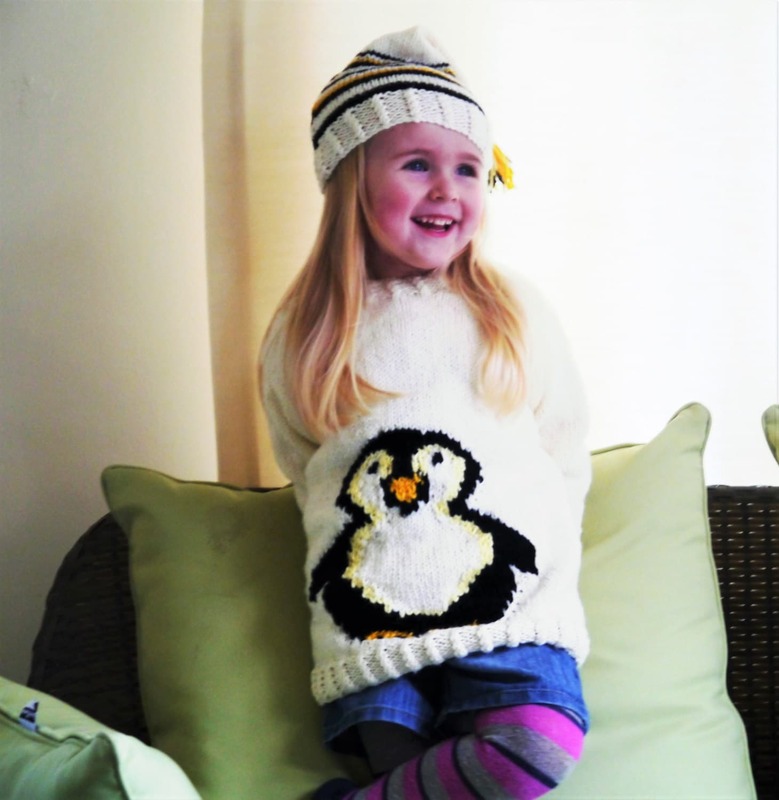 The pattern comes with coloured coded sizes which makes the pattern easy to follow for the size you are knitting. 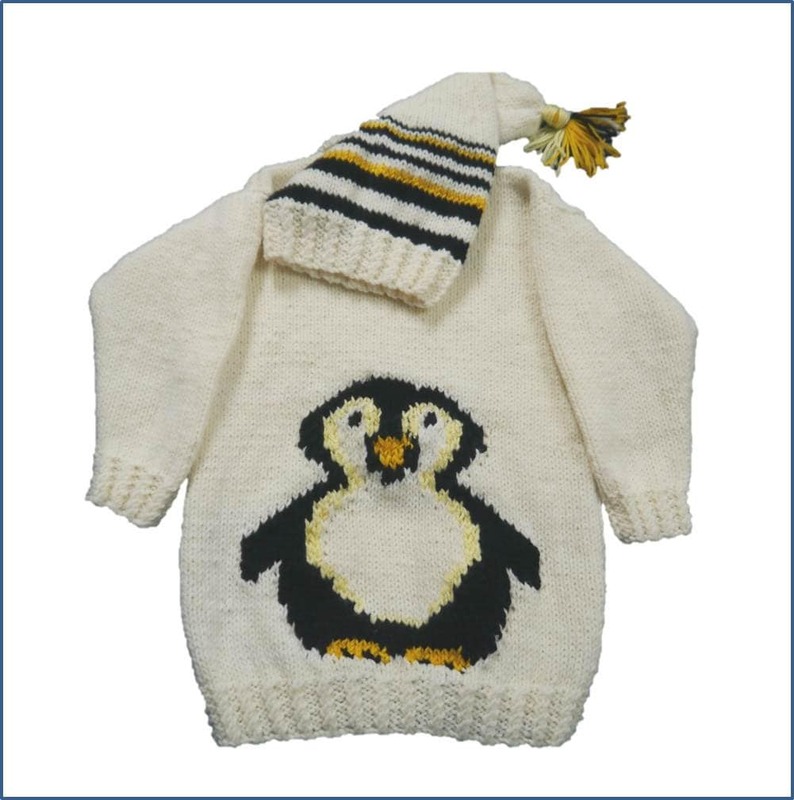 A lovely cosy set for your youngster which is easy to knit and warm to wear.